Increased usage of e-cigarettes, is leading employers to review their policies with regard to smoking in the workplace. According to Crain's Cleveland Business, the rise in usage of these devices and expected increase in demand for these devices is causing local companies in Northeast Ohio to have concerns over how to handle these devices with their employees. 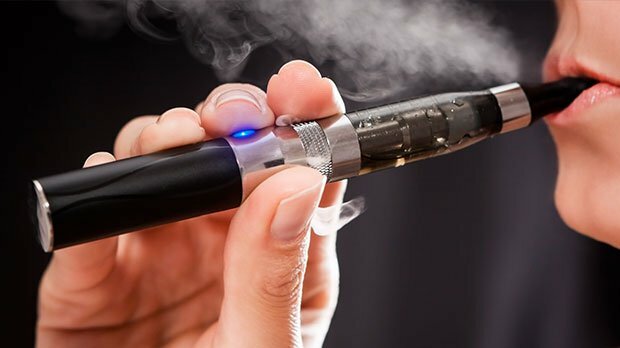 Experts suggest that employers should include e-cigarettes among tobacco-use products, as the Food and Drug Administration (FDA) does not consider them to be tobacco cessation devices, and they aren't regulated. The National Business Group on Health further advises employers to revise their tobacco-free policies to include e-cigarettes, and either limit or potentially even ban e-cigarettes, if it is legal in their state/jurisdiction. In ERC's 2013 Wellness Practices Survey, 42% of 102 survey respondents in Northeast Ohio indicated that they do not allow use of electronic cigarettes and 28% only allow them in a designated smoking area (outside). According to the National Business Group on Health in 2013, because e-cigarettes are not FDA-approved smoking cessation devices, employees who use them can be considered smokers and may not be eligible for lower health insurance premiums if provided to non-tobacco users. Employers can treat e-cigarette users the same as smokers and offer exemptions from surcharges and/or premium discounts on their health insurance if they participate in a smoking cessation program. Smoking, even with e-cigarettes, can affect health insurance rates, the wellness of your employees, and ultimately your organization's bottom line, so as an employer you can take steps such as limiting and banning e-cigarettes and treating users of these devices the same as smokers to prevent these business repercussions. ERC's Preferred Partner, ease@Work, provides employee assistance, work/life and wellness services to companies throughout Ohio with employees throughout the United States -including tobacco cessation. An employee assistance program option is also now available for small businesses.